Any organization that aims to bring about socialism needs to seriously build power in the working class. The question is how to put these efforts in the service of a strategy for socialism. Unions are by nature reformist organizations. * The explicit aim of a union is not to eliminate capitalist exploitation but to achieve wage increases, better working conditions or more and better benefits—in other words, to sell labor power on better terms. But unions are also the first line of defense against capital. Most unions today are controlled by a layer of union officials who are more interested in preserving their benefits than advancing workers’ interests. The degree of bureaucratization has reached extraordinary levels in U.S. labor. 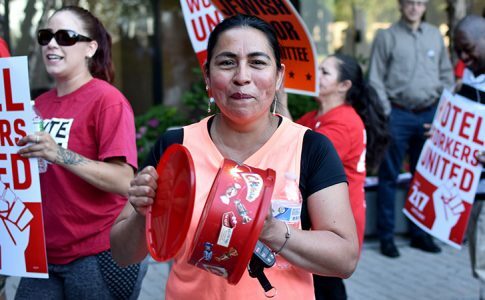 Although union membership is at an historic low, there are still 14.6 million workers in the United States who are unionized and see in these organizations, despite their many shortcomings, a source of power. Unions are the organizations that workers resort to when they fend off the bosses, defend their rights or fight for better wages. And it is primarily through class struggle that workers can come to embrace socialist and revolutionary politics. If we don’t participate in workers’ natural organizations of struggle, we will miss the opportunity to engage in meaningful experiences and conversations with our coworkers. 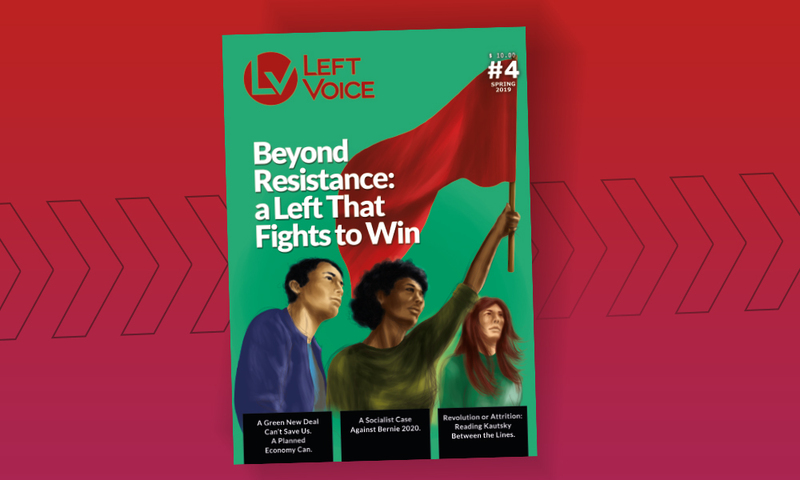 Get your copy of the latest issue of Left Voice magazine, which includes this article. Hence, we need to reconcile these two issues: the intrinsically reformist character of unions and the need to get involved in workers’ struggles by taking part in their own organizations. So the question that comes next is, how do we turn unions into class-struggle organizations? The first step is fighting their bureaucratic leadership—the union bureaucracy. It is important to understand that the “bureaucracy” is neither a necessary evil nor the inevitable development of unions, as Offe and Wiesenthal argued almost 40 years ago.1 The union bureaucracy is personified in a social layer that is hired to perform specialized tasks. Any organization of considerable size needs a permanent administrative staff. But the problem arises when the union officialdom gains more and more autonomy from the rank and file, from the workers it is supposed to represent and serve. 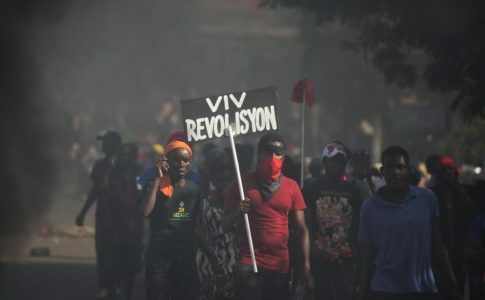 Because in nonrevolutionary situations workers cannot be permanently on strike or in a state of mobilization, working-class struggle is necessarily episodic. Most people working eight hours a day are just trying to get by, taking care of themselves and their families, and so the role of the union official naturally expands under periods of no struggle. When the situation requires bold moves, however, the officialdom becomes a hindrance to direct action. The union officialdom, Robert Brenner and Kim Moody point out2, constitutes a distinct layer of people whose lives are shaped by their activities, which are different from those of the workers organized by the union. They often earn higher wages than the workers they represent, and they are paid by the union itself. This brings about a set of tensions or contradictions. First, the way high-ranking union officials live, talk and spend their free time can substantially differ from that of the rank and file. High-ranking officials, and more seasoned union organizers, make six-figure salaries, and their lives are detached from the rank and file in terms of both standards of living and material interests. But divisions within unions are not black and white. As British labor scholars Ralph Darlington and Martin Upchurch point out, the bureaucracy/rank and file dichotomy is a complex, dynamic relation.5 For example, low-ranking union staffers in the United States are often college-educated young activists who tend to stand politically to the left of the average union member on big picture politics, such as social movements (Black Lives Matter, #MeToo), although they rarely differ much when it comes to workplace organizing. On the other hand, some shop stewards (“lay” union officials elected by other union members and working alongside them) can become “managers of discontent” instead of encouraging workplace organizing and collective action, especially during an ebb in rank-and-file activism. Nonetheless, a shop steward is much more sensitive to the pressure from the rank and file than the full-time officials, and thus any strategy to empower workers needs to rely heavily on strengthening these workplace-based delegates. The bottom line is that the material interests of union officials, in their capacity of “brokers” between labor and capital, can and often will be at odds with those of the rank and file. Their role and social position pushes them to embrace reformist or “incremental” political views. In the best cases, they find their political home in social democracy. More frequently, however, they cater to the will of the Democratic Party, wedding the union to a political machine that is controlled by capital through and through. For this reason, Leon Trotsky and other revolutionaries described the union bureaucracy as agents of the bourgeoisie in the labor movement. This means that if, as a socialist, you want to make an effort to advance your politics in the labor movement, the best way to do it is as a rank and filer: a union member. A low-rank staffer, no matter how radical they may be, will have to abide by the politics and directives coming from above. With their hands tied, it will become very difficult for them to do any meaningful political work. If, on the contrary, they are high enough in the bureaucratic ladder, they may be invited to sit at the decision-making table with other high-ranking officials, as long as they play by the rules. In the case of New York unions in 2018, for example, this would mean endorsing and campaigning for Gov. Andrew Cuomo’s reelection, mobilizing members to attend his rallies and canvass for him. In sum, our leftist staffer will legitimize a leadership that is more interested in keeping things the way they are than empowering the rank and file through democratic organization and collective action. Opposition to the union leadership can take different forms: From advancing radical demands at union meetings, denouncing leaders when the bureaucracy brokers deals that hurt its members, to more openly running an opposing slate during elections. Sometimes the opposition takes a more explicit and militant form: organizing independently for workplace actions or preparing for strikes. Here, we need to make a point clear: Running in a joint slate with the incumbent leadership is not a viable strategy to advance left politics in the unions. With the alleged aim of “transforming” the leadership, or pushing it to the left, running on the same slate with the incumbent bureaucrats only serves to blur the lines between them and the left worker-activists who want to transform the union into a militant rank-and-file-led organization. This point is explained in detail in Kim Moody’s pamphlet, “The Rank and File Strategy.” In the 1940s the Communist Party USA tried to “permeate” the national leadership of the labor movement. CP leaders Lee Pressman and Len De Caux became the CIO’s general counsel and publicity director, respectively. The business-unionist leadership embodied by John L. Lewis, Sidney Hillman and Phillip Murray profited from the communists’ influence over the more radical sectors of the labor movement. The CP leaders legitimized the CIO’s leadership and provided them with a left cover. During WW II, the CPUSA fully supported the CIO’s no-strike agreement, refused to advance the March on Washington proposed by Black union organizer Philip Randolph and refrained from pushing for the desegregation of all union locals. When the groundswell of rank-and-file activity later receded, the Communists were purged from the CIO the same way Trotskyists had been purged from unions a decade earlier with the Communists’ complicity. Another variant of this “permeation” strategy is to run in elections on a moderate platform in the absence of real rank-and-file activism. This inevitably leads the upcoming leadership to adapt their politics to a membership that is substantially more conservative. This strategy, in one or the other form, is advanced by most of the left today, including some members of the DSA and in many instances the ISO. The default approach is to vie for a position within a leadership that is dominated by the bureaucracy. This is a mistake. No matter how left a union activist might be, once co-opted into the leadership, she becomes indistinguishable from the rest of the bureaucracy. A clear way to show an alternative to the bureaucratic leadership of a union is by running an independent slate. The delimitation must be clear. The need for “intermediary” or transitional organizations should be evident to any socialist who engages in political work in unions. If you can only team up for a fight within the union with those who agree 100 percent with your politics, it is almost impossible to engage in collective action, achieve meaningful gains and, through the experience of the struggle, win people over to socialist ideas. On the other hand, if a caucus is politically too broad, it can become a loose assemblage of unionists with no political coherence, a mixed bag of activists who share only an opposition to incumbent officials and the goal of winning elections. It is useful to look at the experience of the Movement of Rank-and-File Educators (MORE) in New York’s United Federation of Teachers (UFT). MORE was established in 2012 by left-wing union activists who, in an attempt to oppose the deeply bureaucratic leadership of the UFT, coalesced with progressives to form a broad rank-and-file caucus. MORE’s platform features a set of correct bread-and-butter demands, plus a push for democratizing the union. Political positions and other perspectives that weigh on issues outside the classroom are remarkably absent from the platform and from its mission statement.6 It is not surprising, therefore, that after only a couple years of being born, in the wake of Eric Garner’s murder by a cop in Staten Island, MORE experienced a rift over whether to support BLM wholeheartedly and over what position to adopt toward the police. The cracks that started to show in 2014 reflected deep political differences within the caucus, differences that effectively prevented MORE from taking on bolder campaigns for several years until, last year, the more conservative elements in MORE were politically defeated and decided to leave. The current leadership of the Professional Staff Congress (PSC) at the City University of New York (CUNY) is another case in point. The New Caucus began as a reform caucus seeking to “democratize” the union in the late 1990s, it won the elections in 2000 and has remained in leadership until now. Despite taking progressive public positions in different aspects, such as immigrant rights or against gender oppression, the leadership has repeatedly fallen short of the militancy the rank and file demand. It has overseen a deepening of a two-tier system through which full-time faculty positions are increasingly being replaced by adjunct teachers living on a meager pay of $3,200 per course. 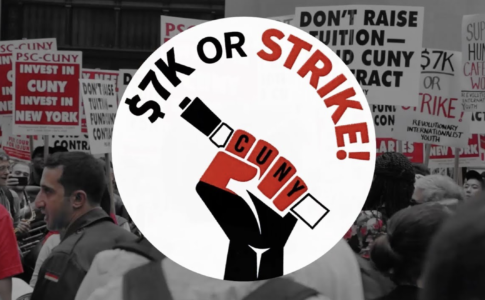 The current contract negotiation shows clearly the split between the rank and file and the leadership: while there is growing support among PSC members for going on strike if CUNY management does not offer a raise in adjuncts’ pay to $7,000 per course (already nine union chapters passed “7K or strike” resolutions), the leadership has stifled the more militant sectors and has avoided any discussion about going on strike. The lesson to be drawn is that rank-and-file unionism is not enough. For a caucus to serve as a school of war for socialists and those who organize around them, it needs to go beyond a drive to democratize the union. It needs to uphold a set of tenets that can attract the most combative union activists and serve as a strong- hold for socialist politics. First, socialists in the labor movement need to advance–not avoid–class struggle, and organize the ranks to take on the boss independently of union officials, and, necessarily, oftentimes against them. Bosses are our class enemies. To be sure, no union can realistically be permanently “at war” with the boss. Exhaustion and attrition can take a toll on the activism in extended struggles. But the understanding that capitalists are the enemy of the working class has to be foundational for a militant left-wing union slate. Five-year contracts and no-strike clauses should be avoided and any attempt at labor-capital collaboration needs to be firmly repudiated. As the Teachers’ Spring last year reminded us, the strike is workers’ principal tool to advance their interests. Second, the caucus needs to put forward independent working-class politics. To borrow the phrase of Mike Davis, the “barren marriage” of labor and the Democratic Party has proved time and again to be detrimental to workers.7 The instrumental use of unions’ financial and militant resources for the purposes of getting Democrats into office (or maintaining them) has served only to undermine labor’s own power. A class-struggle caucus will endorse no Democratic or Republican candidate. Third, we need to combat all kinds of oppression. No expression of racism, sexism or anti-LGBTQ attitudes can be tolerated among the ranks of the union, in the workplace or in society. 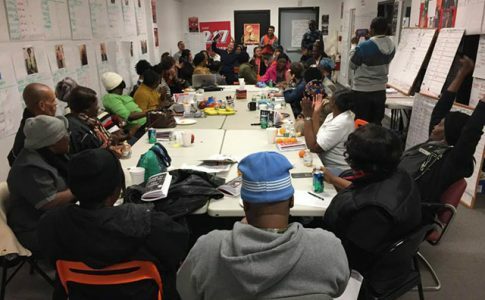 If a “reform caucus” cannot mobilize its membership to fight racist cop killings or to stop sexist practices in the union or on the job, it will fail to organize the most oppressed among the workers. Fourth, unions need to operate in complete independence from the state. This includes no collaboration with the police, with ICE officers or any law-enforcement official, as well as refraining from using injunctions to settle intra-union disputes. 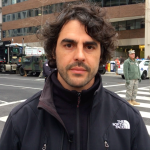 The state is not a neutral actor, and it has no place in workers’ organizations. A special note should be made about compulsory affiliation (also known as closed shop, union shop or agency shop). Any kind of “union security agreement” by which the union collects dues from its members and agency fees from the nonmembers in a compulsory way—enforced by law—is a breeding ground for a bureaucracy detached from its members and insulated from their criticism. Based on a convincing set of historical examples, Jarrod Shanahan and Andy Battle show that “[b]y design, union security strengthened ‘responsible and cooperative’ union leaders while reducing the ability of the rank-and-file to hold them accountable.”8 This does not mean, however, that we should embrace or even remain neutral in the face of attempts to pass right-to-work bills. Right-to-work laws are direct attacks on unions from the part of bosses and the state, and we should resist them tooth and nail. Fifth, workers’ internationalism. 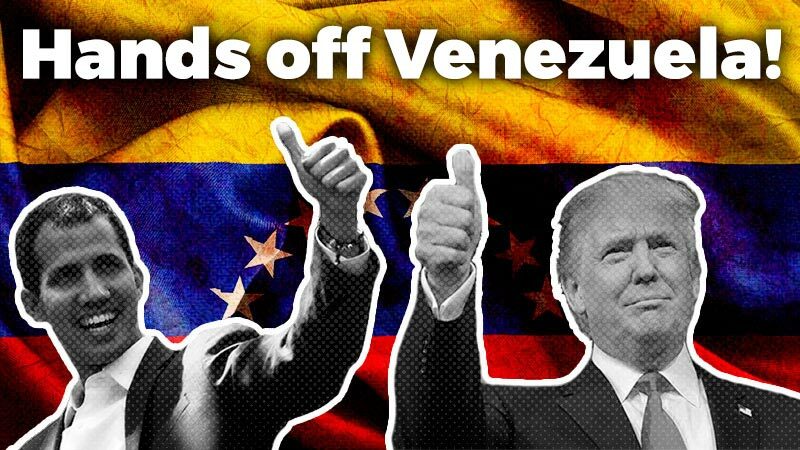 This implies acknowledging and opposing U.S. imperialism and the many wars abroad, and trying to practice solidarity with workers from other countries. These are not necessarily points in a platform to agitate around. They are principles for left activists in unions to advance in the task of building workers’ power and spreading our politics among union members. Someone could point out that such a left-leaning caucus would not stand a chance of winning elections in any union today, and this might be true in most cases. We have seen, however, the problems of trying to take up a leadership position that does not correspond with our real influence among the rank and file. Although we ultimately want to win the elections and lead the union, we should not hide our politics in order to represent a membership that is too conservative, who may not be on board with, for example, fighting racism at the workplace and beyond. In all likelihood, a rank-and-file rebellion and a period of class struggle will be necessary for such a slate to win the upper hand in a union. Fighting all kinds of oppression, along with militant action for economic demands, can grant the socialist activist an opening to introduce a dialogue that goes beyond economism (or reformism) and indict the complex system of exploitation and oppression that play under capitalism. By taking up working-class demands that are not necessarily union-related—such as affordable housing, women’s rights or accessibility and benefits for the disabled (most of whom are victims of unsafe working conditions)—the socialist militant transcends the “pure and simple” unionism and becomes a tribune of the people, a mouthpiece for the wretched of the earth. And this is a dialectical process. A cadre of conscious socialists is necessary to anchor attempts to build a radical opposition caucus that can bring militancy to the union and empower the rank and file. Conversely, it is the experience of disruptive, militant struggle that draws broader layers of workers to socialist and revolutionary ideas. Although socialism is experiencing a rebirth in the United States, revolutionary socialists in the unions are still few and far between. But the algebra for building workers’ power is not linear. Whenever possible, socialists should target key workplaces, concentrate forces and try to turn the union into a stronghold of workers’ militancy, a beacon for the most radical elements in the labor movement. Landmark actions such as the strike against police brutality by the ILWU Local 10 longshoremen in the port of San Francisco in 2015 or the PepsiCo factory occupation in Buenos Aires in 2017 travel a long way. A relatively small minority of militant unionists can transform a workplace or a union local into a bastion of the left. In the heat of the fight against the bosses, the police and the state, workers get a taste of their power, forge stronger bonds among themselves and often become radicalized through the struggle. 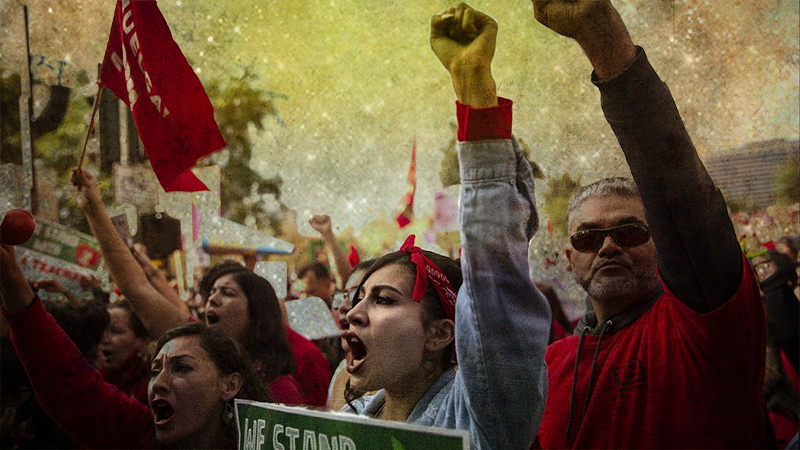 By intervening in these actions, organizing coworkers and resisting retaliation, the members of a left political organization become part and parcel of a combative workers’ movement, prove their skills to lead other workers and slowly become revolutionary cadres honed by the class struggle. * I would like to thank Charlie Post, Robert Belano and James Hoff for their useful feedback on earlier drafts of this article. 1. Claus Offe and Helmut Wiesenthal, “Two Logics of Collective Action: Theoretical Notes on Social Class and Organizational Form,” Political Power and Social Theory 1 (1980), 67-115.